Deploying computers onboard forklifts, stock pickers and yard jockeys began approximately 20 years ago when processing power and storage were limited and wireless was still coming of age. 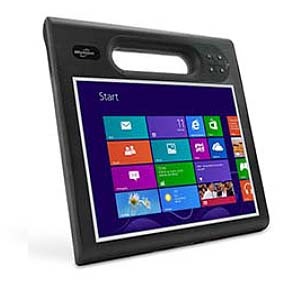 Units included amber displays, infrared touch screens, limited I/O and spinning hard drives. Vehicle installations included a separate distinct power converter and another box housing a UPS. 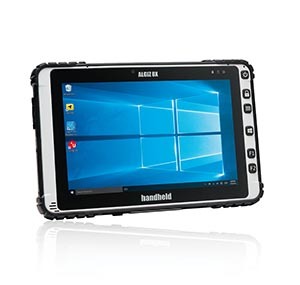 Fast forward to the present and research shows that nearly 80% of all forklifts are equipped with some type of data collection hardware. Computing power, storage, and system features have grown exponentially. 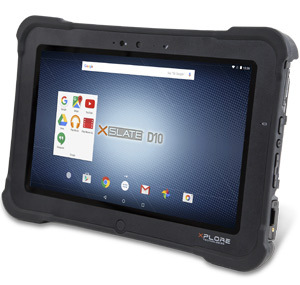 While many companies have come and gone, Glacier Computer remains focused on designing, manufacturing and supporting computers specifically for the forklift computing marketplace. 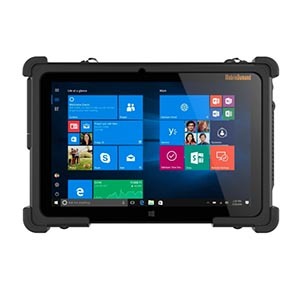 In addition, one cannot overlook the tremendous influence and adoption of rugged tablet computers being chosen for forklift computing applications. 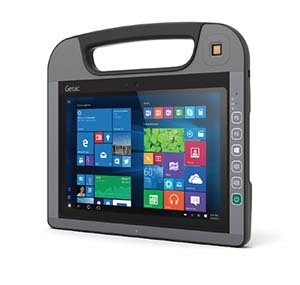 Glacier recognizes this growing trend and boasts an array of forklift mounted computers from the top manufacturers in the world. 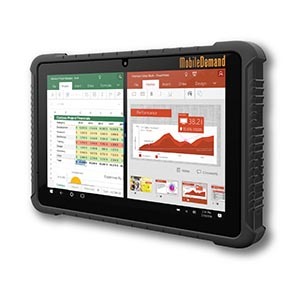 If a customer is in need of portability and is convinced that users will be moving on and off the lift to accomplish their data collection and scanning operations, a rugged tablet computer is the ideal solution. 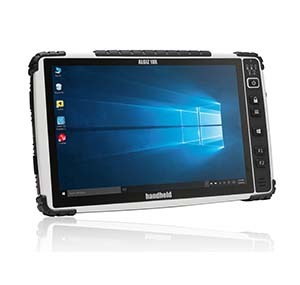 The Glacier Computer Kodiak forklift computer is a unique solution offering not only several LED display sizes but also numerous operating systems and two touchscreen style options. 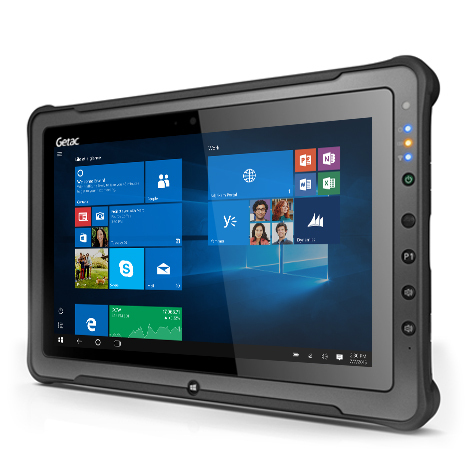 Boasting an Intel processor, solid-state drive technology, and an array of standard secured I/O, the IP65 sealed Kodiak rugged computer monitor is intended to be relied upon 24/7 in any environmental conditions. 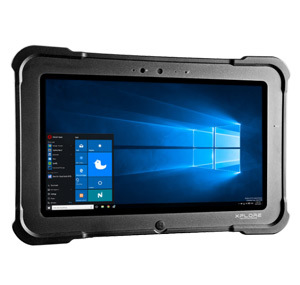 And unlike units from 20 years ago, the Kodiak rugged computer monitor has both an internal 12-48VDC power supply and internal UPS for easy forklift battery changes without having to reboot the unit. 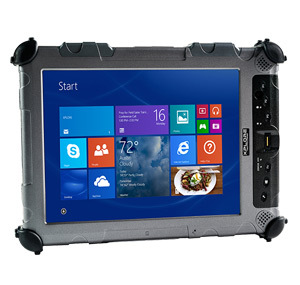 Glacier rugged forklift mounted computers include rugged housings with protection against moisture and accidental drops. 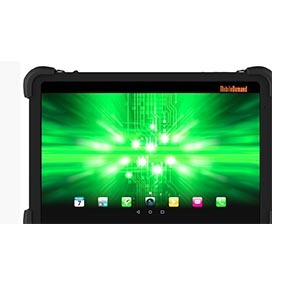 Long battery life with hot-swap capability cater to three shift use on and off the lift. 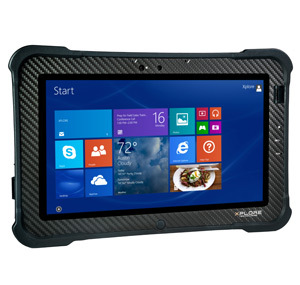 Integrated bar code scanning, RFID and Smartcard use ensure maximum efficiency and accuracy. 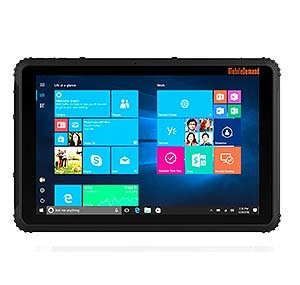 Docks and power supplies designed specifically for on and off forklift applications are available for any forklift tablet computer. 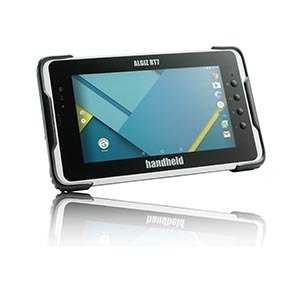 • Warehouse / Distribution Center – Onboard forklift computing allows for picking and putaway instructions in real time. 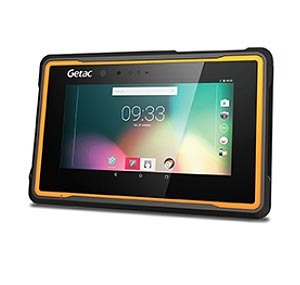 Eliminating tedious and mistake-prone manual entry, forklift operators interface with the Kodiak to both receive instructions but also update inventory. • Freight – Computers mounted onto forklifts at LTL freight terminals perform a vital function as goods are cross-docked. Cross-docking is a non-stop complicated process as freight is offloaded from one trailer and transferred to the appropriate trailer for the next leg of its journey. Forklift computers combined with bar code scanners allow the forklift operator to confirm the exact and up-to-the-minute status as the freight is unloaded and re-loaded. In addition, overweight, short and damaged information is entered, as is forklift operator productivity. 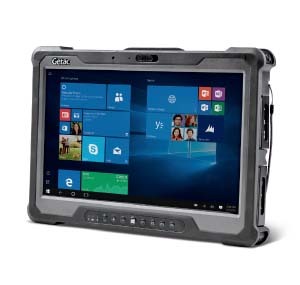 • Industrial Computers For Manufacturing – Shop Floor operations often run 24/7 and usually rely on tight margins and narrow delivery windows thus mandating as much efficiency and real-time information as possible. 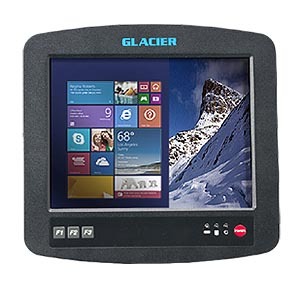 Forklift drivers equipped with Glacier forklift computers ensure timely delivery of raw material to workstations at the touch of a button from the workstation location. In addition, finished goods are quickly moved into specific warehouse slots and inventory is instantly updated throughout the corporation.